With all the awesome running achievements going on this month with our clubhouse members it has been really difficult to choose a runner of the month based on performance or effort, so instead I want to shine a spotlight on someone who does an awesome job behind the scenes. Her name is Sharon Bradford and she is my virtual assistant helping me keep on top of our memberships, and also posting all of our kit out…she is a great resource to me, and a brilliant person to be around. Tell us a bit about you? My name is Sharon and I’m 46. I’m originally from Chingford in East London and still have a lot of ties in the area but moved to Benfleet, Essex in 2009. BMI and/or Dress Size I don’t have a Scooby about my BMI but imagine it would be Overweight or Obese. My dress size is a 16-18. When did you start running and why? I always used to look at runners and think that must be lovely to do that, the freedom, the challenge and then quickly dismissed it as something other slimmer people did. On the 4th January 2013 I was bullied into attending a beginners running club at my kids school, one of the TA’s had just taken the Leadership in Running Course and started up a group. On that cold January morning I stood with 13 other mums full of fear and anxiety. Would I be laughed at, would my knees explode, would I wet myself, all this stuff ran through my mind. Over those next weeks my confidence grew and yes one of my fears did happen I’ll let you guess which one and I ran my first 5km. I was on top of the world, something I thought that was only for swishy ponytail types I had achieved. What motivated you to join The Clubhouse I found Julie’s blog and website and realised I was not alone and there were other ladies just like me. I attended one of Julie’s day long running workshops in 2013 and from then onwards I was hooked. Then I joined the Clubhouse which I found to be a great source of information, inspiration and fun, the ladies are just the best. Where are you at the moment on our coloured ability scale? I have been through every spectrum of the coloured ability scale. I really don’t think there has been a constant. I have been a slogger but would currently consider myself to be a jogger, still tying to earn my slogger badge back. What do you hope to get from being part of this running club? Primarily advice and not always about running, I really do consider the ladies of the Clubhouse to be a good sounding board for any kind of problem I may be experiencing. Never judgemental, always sensible and with a sense of humour. How often do you run? I try to run at least 3 times a week and want to get back to my fourth longer run at the weekend. What kind of distances do you run in training? Currently 5 km to 10km. Do you parkrun? I love parkrun but don’t get there as often as I would like, husband works crazy hours and I have three very lazy children who consider 9:00am on as Saturday to be a time for sleeping. My local is Basildon and it is fantastic, they even have a 42 minute pacer. 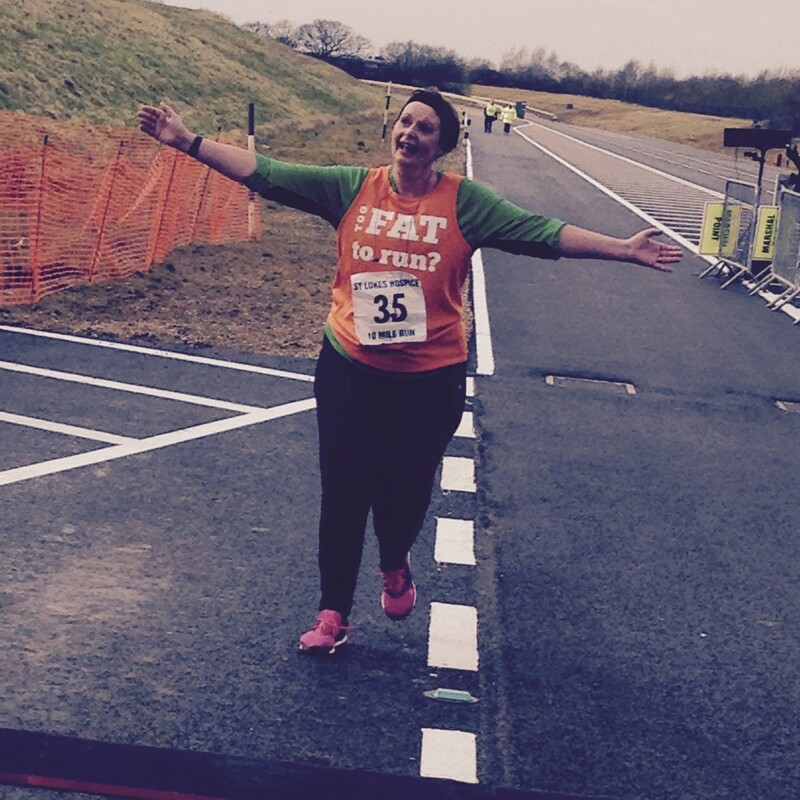 Have you taken part in any races? Please tell us about them, and also any races you would like to do in the future. I have done several Race For Life’s (5km and 10km) which included a Pretty Muddy which I did not enjoy, I don’t like climbing things. Dunton Race Track 10 Miler (which I came last in, they tried to deflate the finish line before I went through how dare they) Southend Half Marathon and Shine Marathon in September last year. After Shine I said that I would never do another Marathon, however a conversation with my Niece has made me reconsider. She said “You walked 26.2 miles all through the night with no sleep, you can do London Marathon no problem” I am not sure about the no problem bit but VLM is something I want to do before my 50th. How can other members best support or encourage you? Just keep on doing what they are doing. I love seeing all their posts about the races and training they are completing. I found them really inspiring. Keep it up ladies! What is the one thing which you think would improve your running . I am doing more cross training, swimming and spinning and hope that this will help improve my fitness. 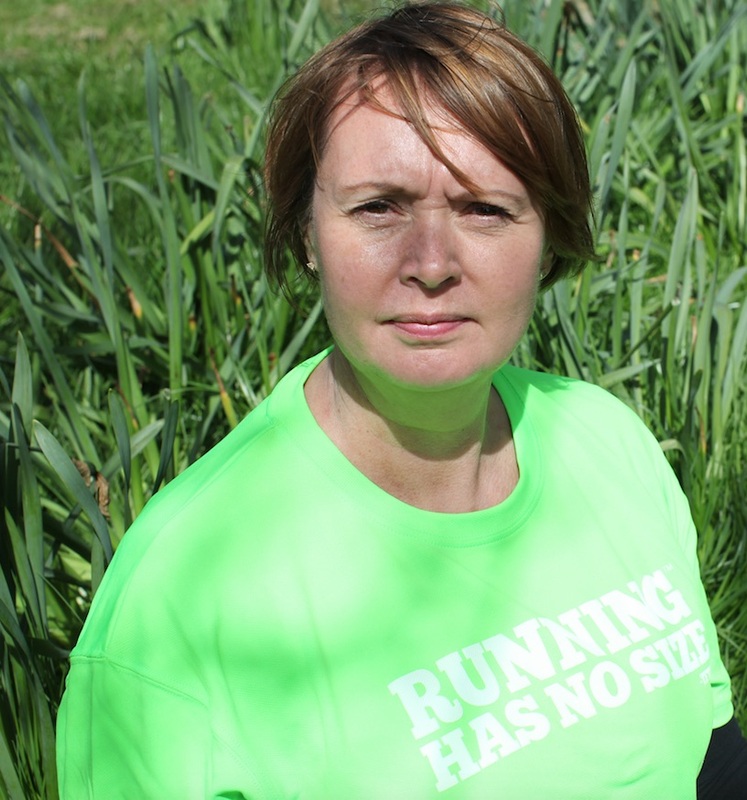 Check out Sharon modelling our new Running Has No Size Kit available in the shop. If you would like to join Sharon and 120 odd other awesome women in our unique online running club then check out this page for more details about how The Clubhouse works.